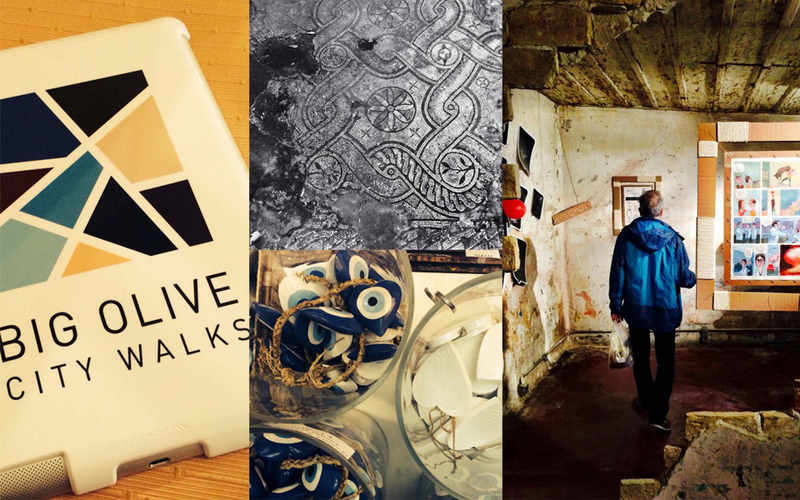 Art walks from Omonia Square to the Metaxourgio and Gazi districts. Here’s your chance to learn about street art on building facades covered in spray paint, or to connect with the major hubs of contemporary culture – from the Athens Concert Hall and National Museum of Contemporary Art to the Onassis Cultural Center and the (currently under construction) Stavros Niarchos Foundation Cultural Center. 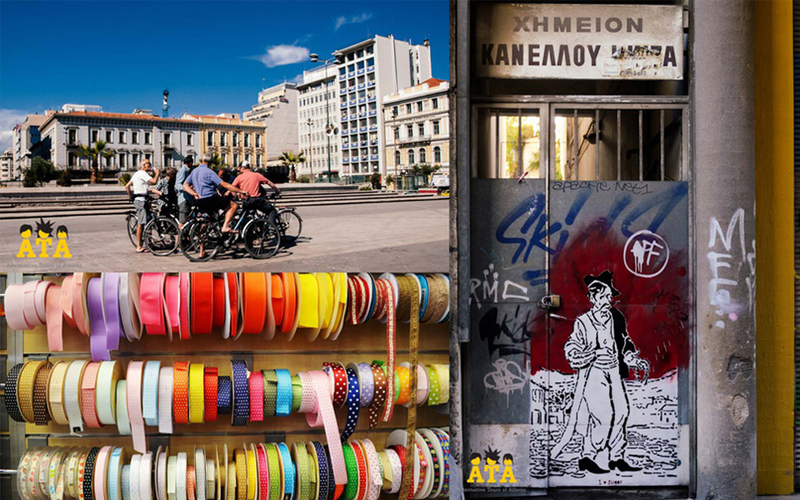 You will “dig around” in the city’s flea markets, get a taste of life underground in the metro stations and familiarize yourself with the art works of Fassianos, Varotsos and Stephen Antonakos. With a focus primarily on art in public places, the team from ATA – Alternative Tours of Athens (comprising photographers, architects, musicians and visual artists) organize events aimed at showcasing the city’s less orthodox beauty, as can only be perceived by the discerning eye of an artist. 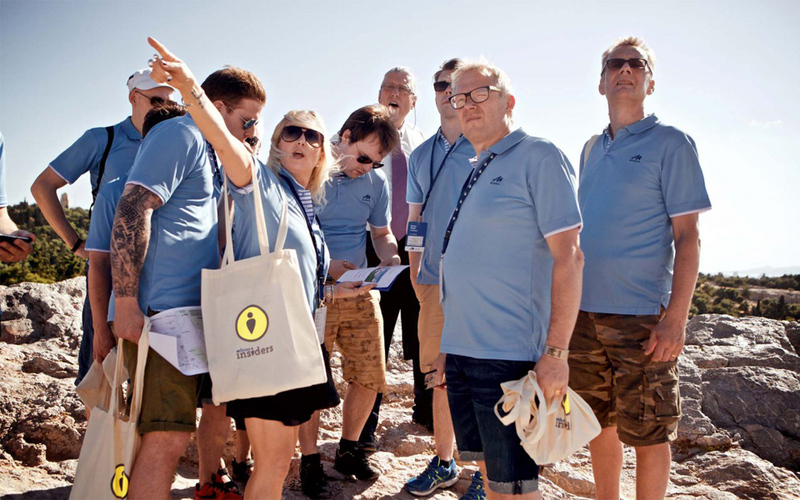 In just four hours, Athens Insiders attempt to share with participants their knowledge of a city that has been inhabited for thousands of years. 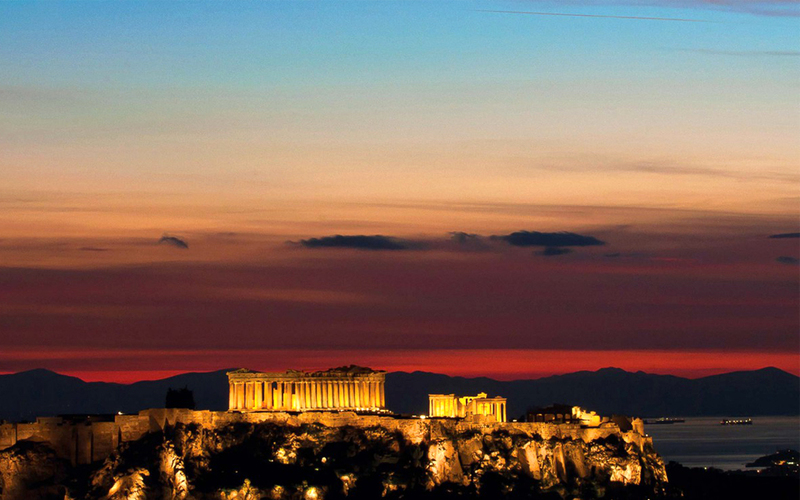 This tour has a little of everything: a visit to Syntagma and Monastiraki squares; views of the Acropolis and the ancient Athenian Agora; an unveiling of the city’s Greek, Roman, Byzantine and Ottoman past; and a chance to re-energize with a Greek coffee or cup of “mountain” tea (Greek herbal infusion). The team also has other proposals for those interested in an experiential acquaintance with the city, such as the family tour dubbed “In the Time of Pericles” (which offers kids an opportunity to learn about Athenian history through games, combined with a picnic of local culinary delights) or a sightseeing tour followed by a tasting of four Greek wines and a hearty discussion on wine making. The Athens Food Tour, as the name suggests, is focused on Greece’s rich culinary heritage and the benefits of the Mediterranean diet, while also offering participants the chance to discover these merits for themselves – by trying olives, traditional feta cheese, halva, loukoumades with syrup, cream-filled bougatsa pie, sesame bread rings (from one of the dozens of street vendors who man their posts each day in the city center), as well as tsipouro or ouzo. The tour concludes with a visit to the colorful central market, the Varvakeios Agora, where one’s ears are barraged by sellers’ constant calls to attract customers and sharp smells tantalize the nose. Among the many other options of the Athens Walking Tours, visitors can take a close look at the city’s historical center or focus exclusively on the secrets of the Acropolis. 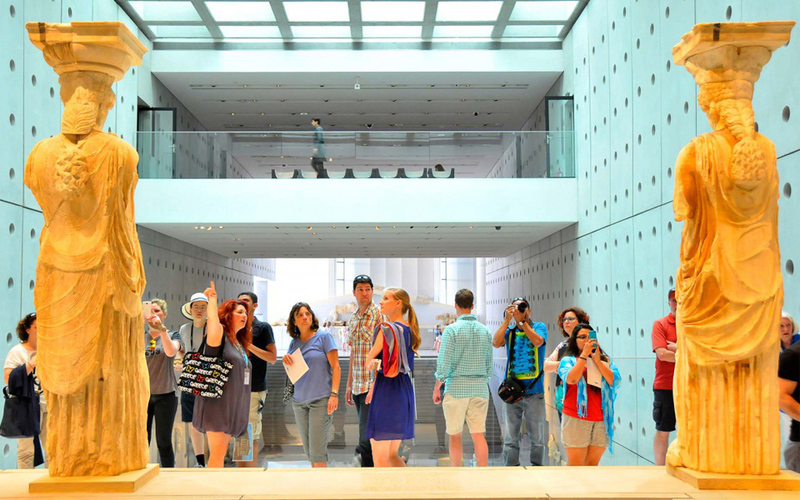 Alternative Athens offers a number of tours enabling you to see the city through the eyes of a local. One such option is the Cool Athens Shopping Tour – during which you will visit 10 carefully selected shops, selling everything from Greek sandals and handicrafts to souvenirs, designer fashion and jewelry; you’ll also meet Greek designers in person and learn about the traditional art of loom weaving. Another possibility is Proud Athens Gay & Lesbian Night Out (for an acquaintance with the city’s gay scene, including visits to areas and venues where it’s all happening, from cafes to clubs). 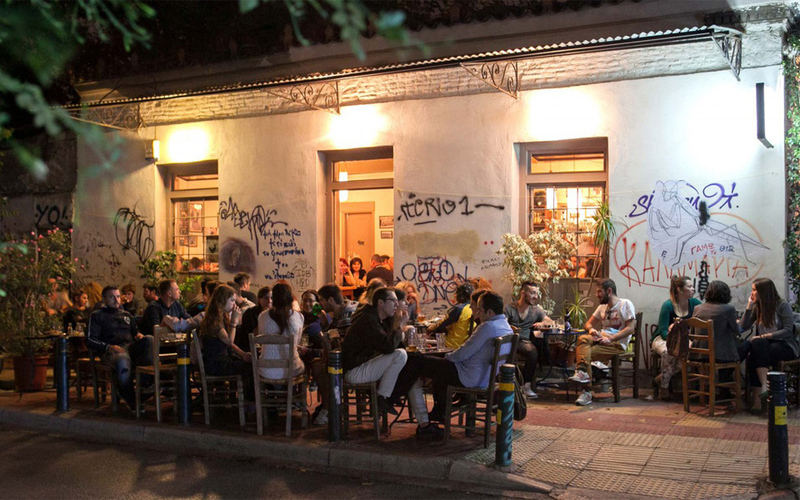 Alternative Athens by Night is a bar-hopping tour that will introduce you to a city of endless partying, under the watchful eye of a connoisseur of local nightlife. The Discover Greek Culture team is led by archaeologists, licensed tour guides, tour designers, a landscape architect, and even a horticulturist. Their emphasis is on cultural tourism and they offer half-day tours (e.g. 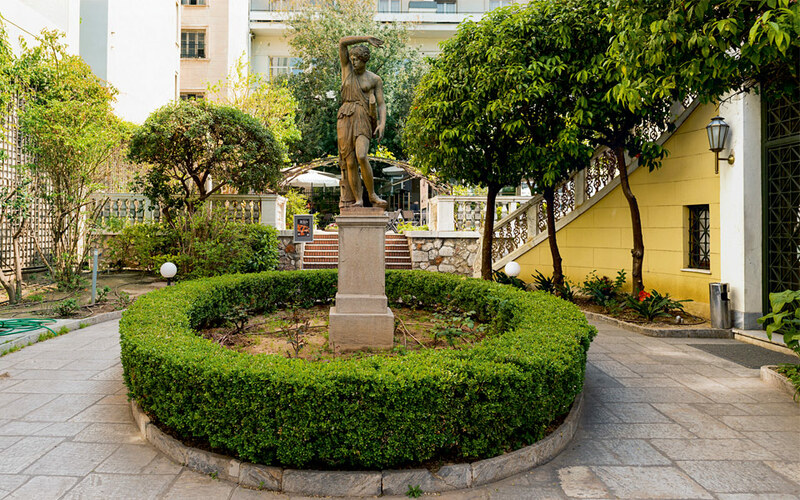 National Gardens, Numismatic Museum, Museum of the City of Athens); full-day tours (e.g. Acropolis and its Museum, church of Aghios Dimitrios Loumbardiaris, footpaths of Greek architect Dimitris Pikionis between the Acropolis and Philopappos hill – tours include tastings of Greek liqueurs and spirits); four-day tours (e.g. Katakouzenos House Museum, Sanctuary of Artemis at Brauron, Temple of Poseidon at Cape Sounio); as well as experiential activities, such as breakfast at the Benaki Museum, during which participants can learn about the Greek War of Independence (1821-1832) and view historic artifacts close up. Solebike takes advantage of the flexibility of the bicycle to introduce the city to anyone willing to sit on the saddle for a couple of hours. There are a number of tours to choose from. 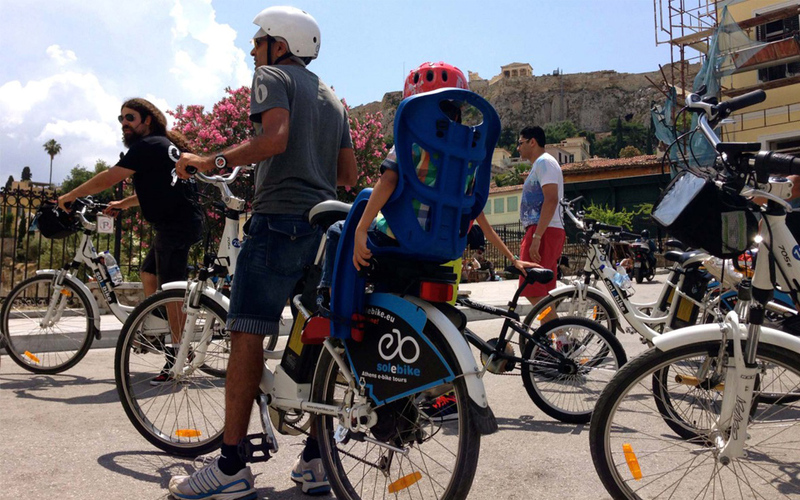 On the 11-km Athens Delight Tour, for example, cyclists make their way through the city center, passing by historic landmarks and neighborhoods (Hadrian’s Arch, Zappeio Hall, Parliament building, Monument of Lysicrates, Aghia Irenes Square, Psyrri, Monastiraki, etc). It’s not all about history, though: you will also visit an original “kafeneio,” taste meze dishes, and sip retsina wine and ouzo to get a proper taste of local tradition. The Big Olive City Walks cater to the needs of the visitors who wish to discover the city on foot. The themes are varied, ranging from the evolution of Athens – with reference to the ancient (now mostly asphalt-covered) Ilissos River, whose banks were once the site of architectural masterpieces – to the city’s past religious identity (Jewish synagogues, Byzantine churches, Ottoman mosques, even the “ghost” of a Capuchin monastery) and the rich history of Athenian modernism, evident through the architectural legacies of the Kolonaki and Exarchia areas.